We are a manufacturer of water and solvent based inks for the print and garment industries. 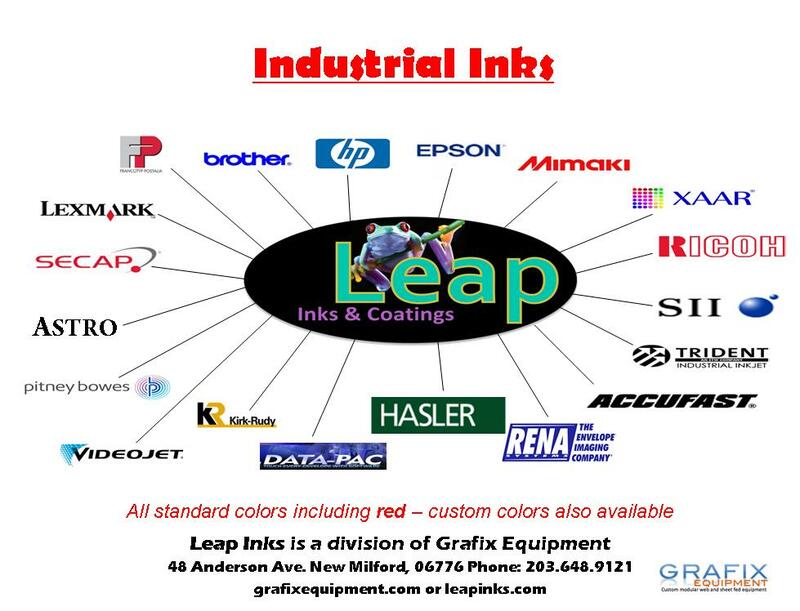 Leap offers you the most vibrant colors for all types printers, worldwide. These high quality inks produce bright, consistent and durable color output on most flexible and rigid substrates. We manufacture a wide range of inks that produce flawless color on most media and are individually formulated to a wide range of print head designs. Available in: cartridges, bags, liters, gallons and drums.